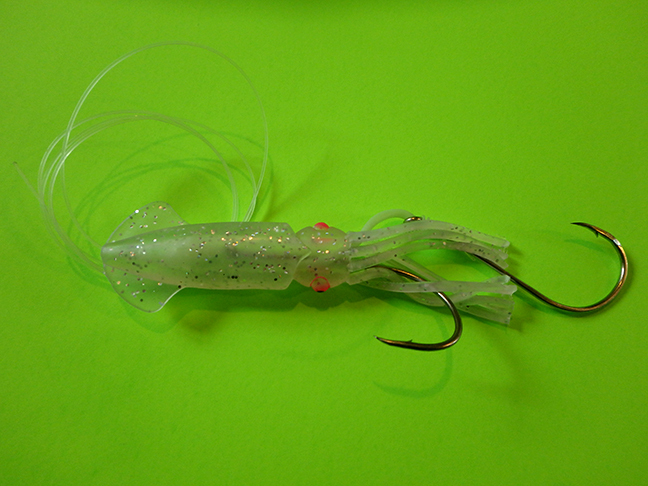 These soft bodied squid lures come with heavy duty monofilament line with twin J-hooks. 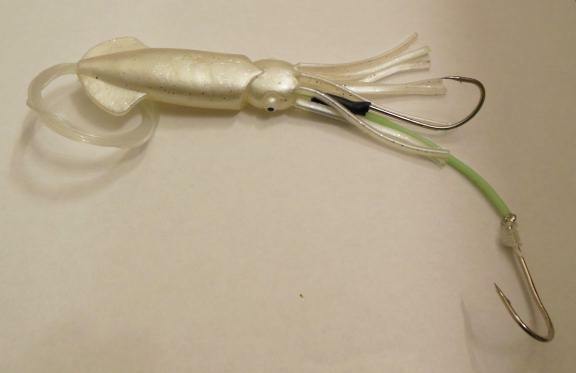 The Squiddy Squid lure works great for California halibut, Pacific halibut, lingcod, salmon, flounder, rockfish, albacore tuna and other species. 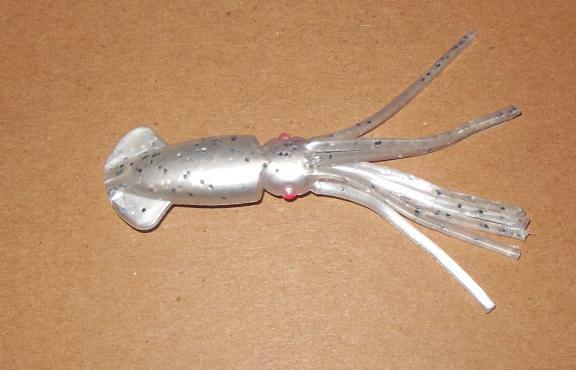 6 inch long artificial squid fishing lure comes with two J-hooks and heavy 50 pound mono leader. White color. 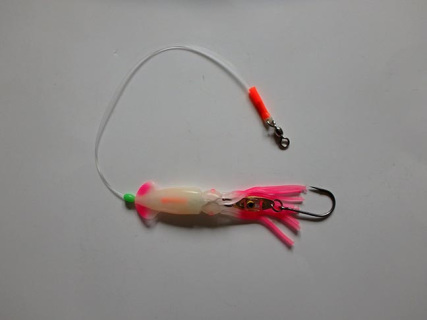 7.5 inch long pink glow artificial squid fishing lure comes with one 9/0 J-hook, and heavy 50 pound mono leader. 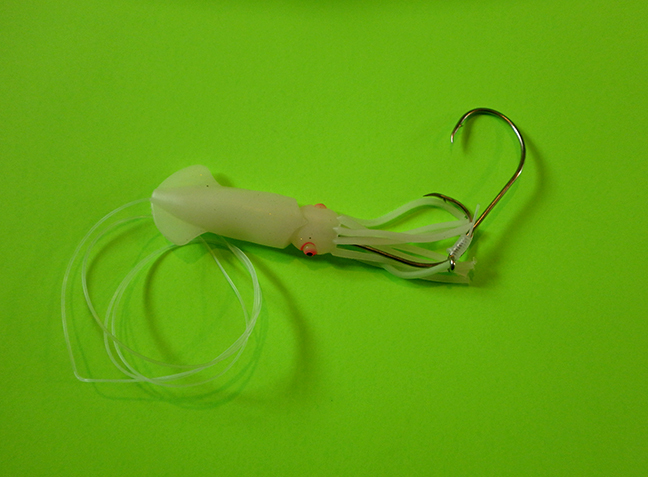 Lure includes water activated flashing green light to attract fish to your lure from far away. 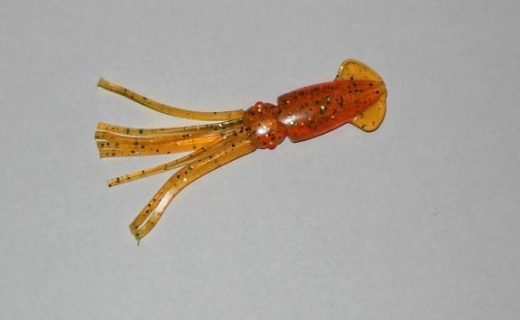 3-inch long artificial squid lure comes unrigged in a package of three. Works great for any fish species that eats small squid. 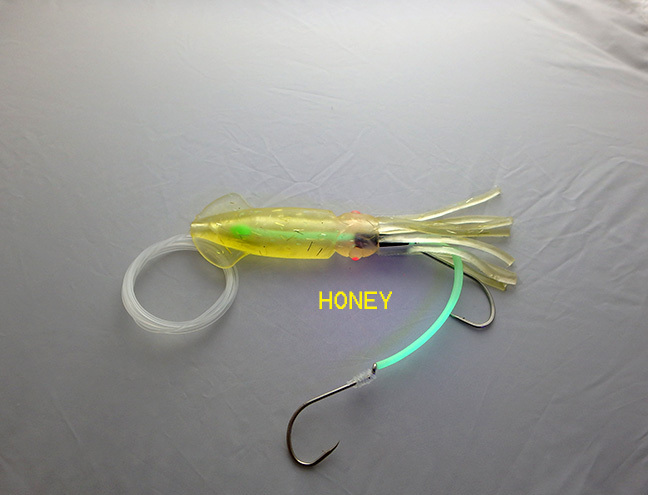 Light up the lure from within to enhance visibility and attract fish from greater distances. 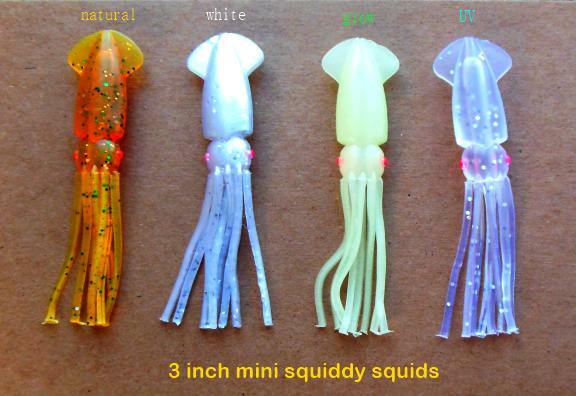 Fits the light sticks sold for mini fat squids on the mini fat squid page. Fish bite the lures they can see. 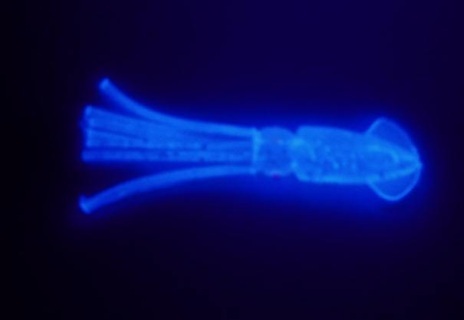 Use this glow squid to attract fish in dark or murky water. 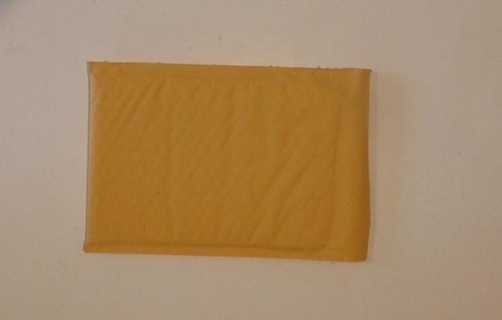 Works great for salmon or any other species that eats small squid. 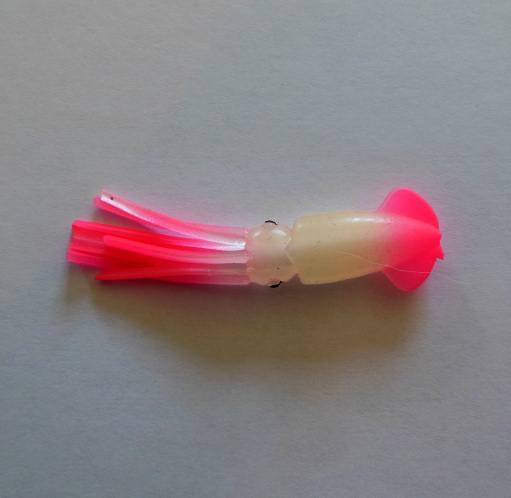 For even greater fish-attracting visibility add a light stick inside this unrigged artificial squid lure. Fits the light sticks sold for mini fat squids on the mini fat squid page. UV light penetrates farther down the water column than any other color in the light spectrum. 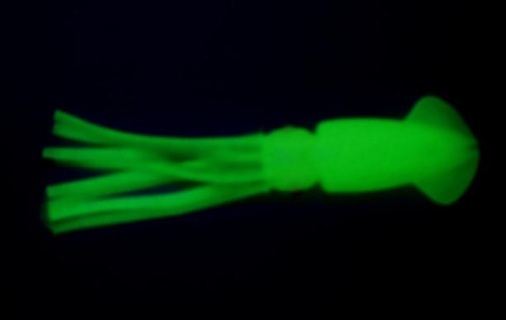 These UV enhanced unrigged artificial squid lures light up naturally in the presence of UV light. You can see this with a blacklight, but the fish sees it without one. Works great for any fish species that eats small squid. For enhanced visibility to attract fish from greater distances add a light stick. Fits light sticks for mini fat squid sold on the mini fat squid page. Fish can't resist these pink glowing little squids. Comes in three pack of 3-inch long squids. Works great for salmon and many other fish species. Comes unrigged.